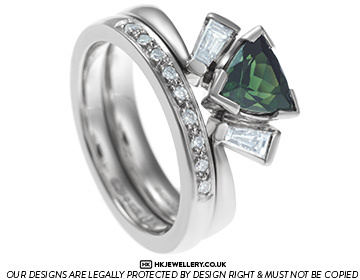 Laura wanted a delicate design to compliment her previously commissioned engagement ring, while adding a bit more sparkle! 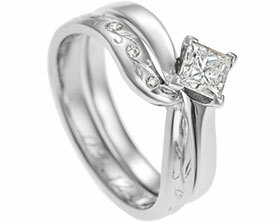 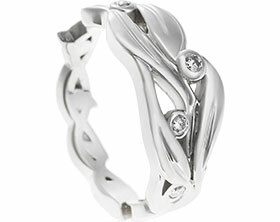 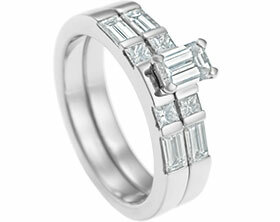 Laura loved the clean lines and vintage feel of Art Deco that we incorporated into Laura’s engagement ring. 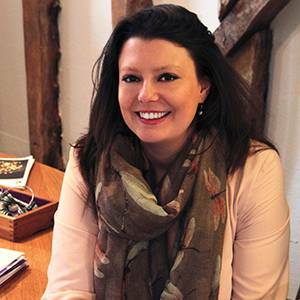 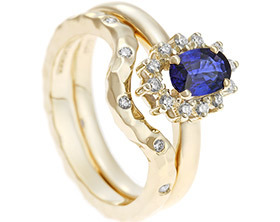 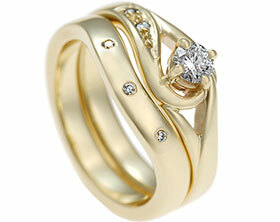 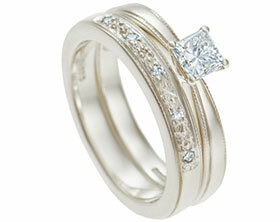 It was therefore important to Laura that her wedding ring echoed the same design elements. 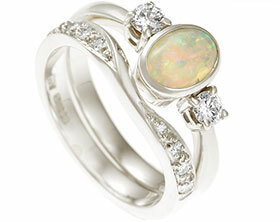 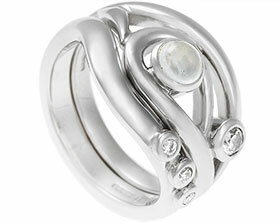 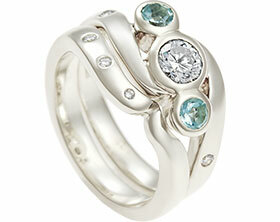 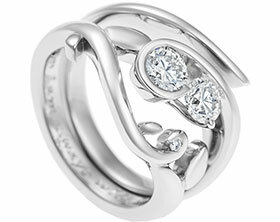 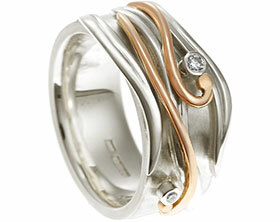 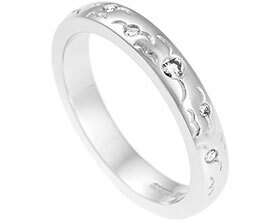 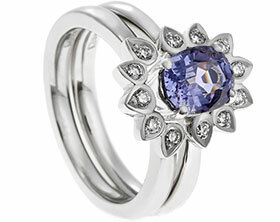 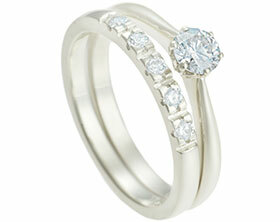 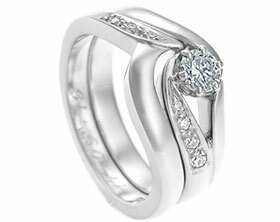 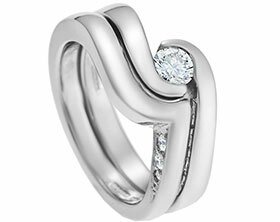 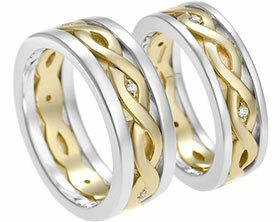 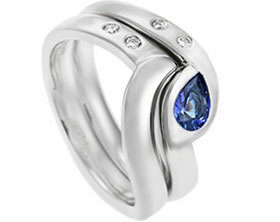 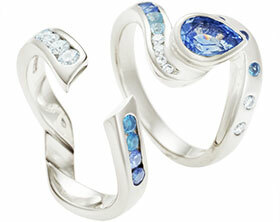 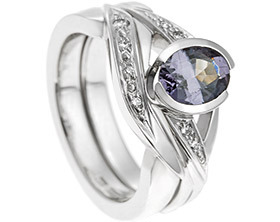 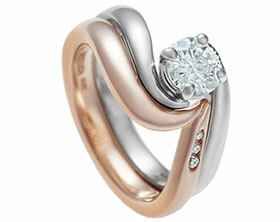 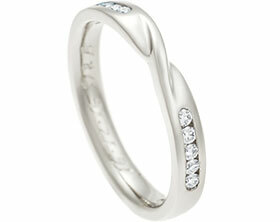 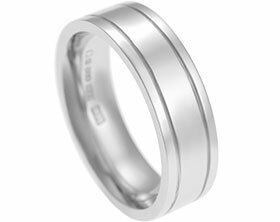 This lovely delicate band was created with platinum, with a gently curved profile and polished finish. 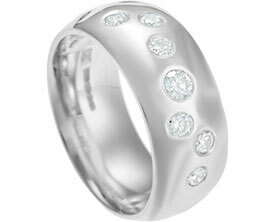 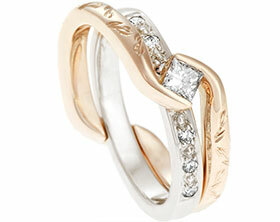 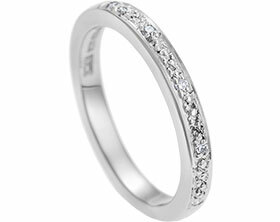 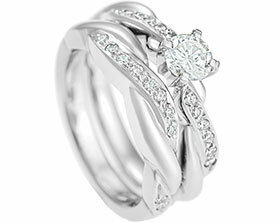 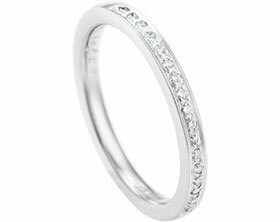 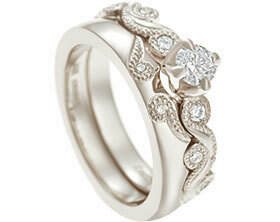 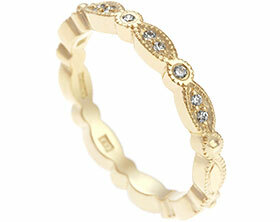 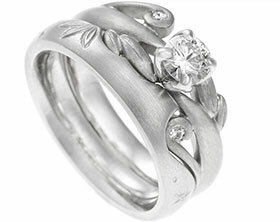 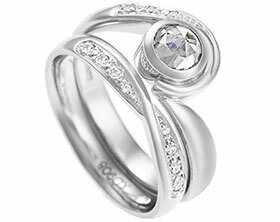 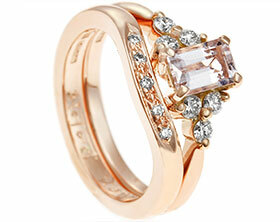 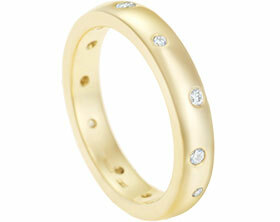 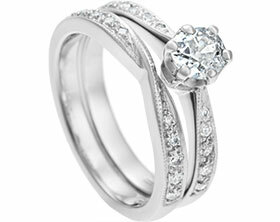 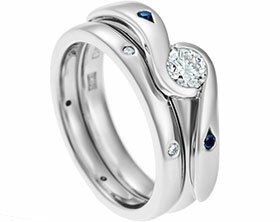 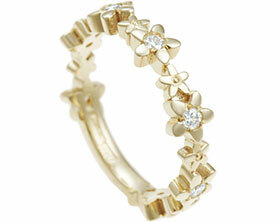 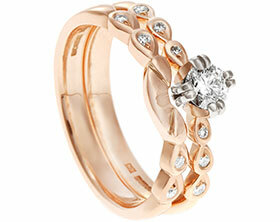 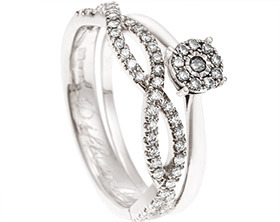 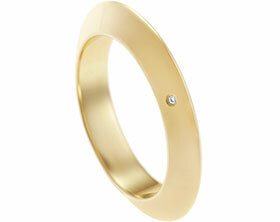 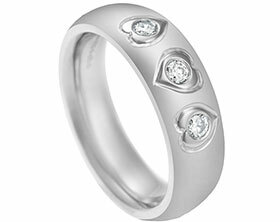 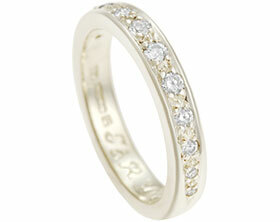 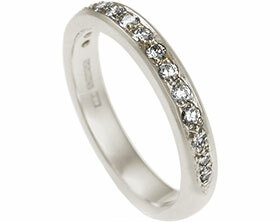 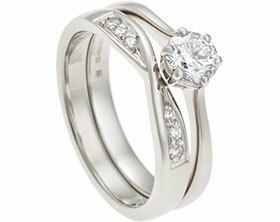 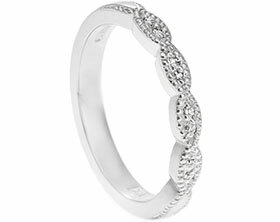 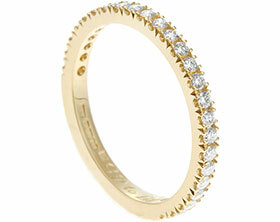 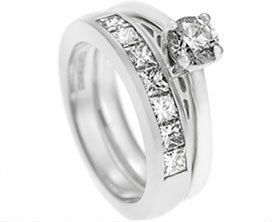 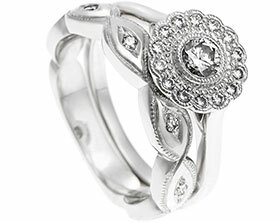 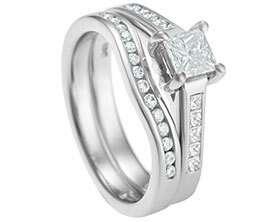 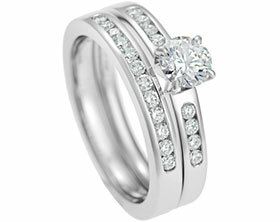 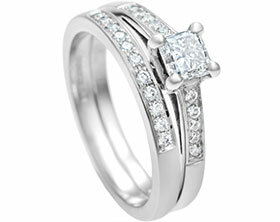 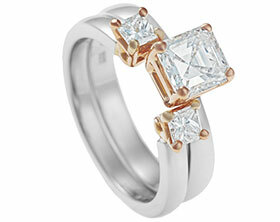 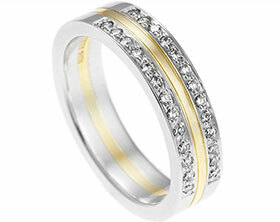 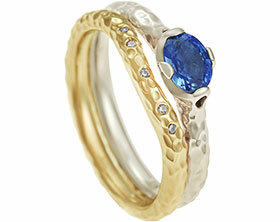 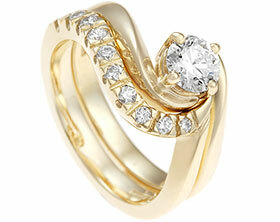 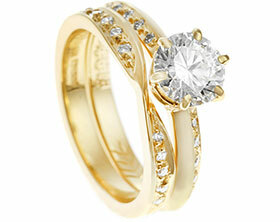 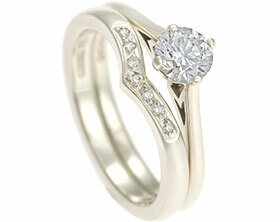 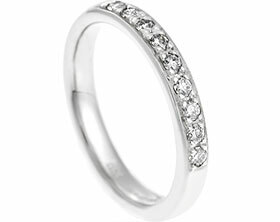 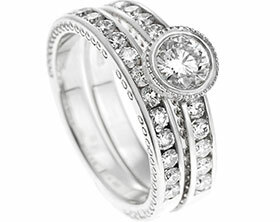 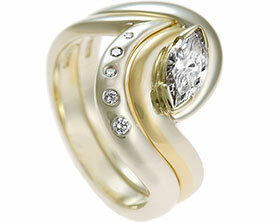 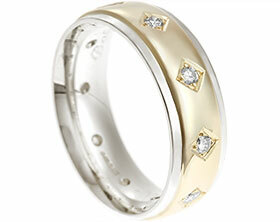 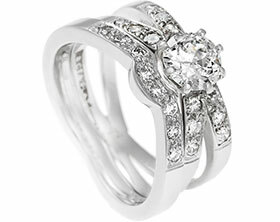 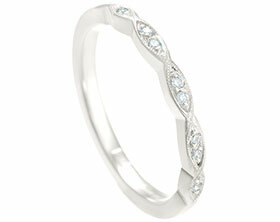 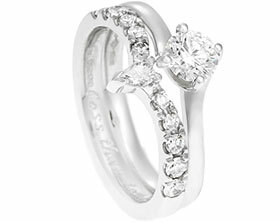 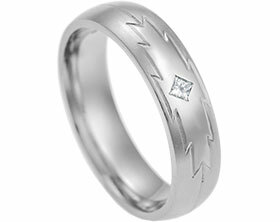 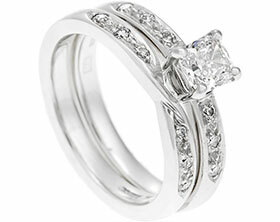 We pave set 9 brilliant cut diamonds into the band bringing out the vintage and art deco design.